A Virginia Book Award Finalist"A beautiful, haunting novel." --Tom Franklin"John Gregory Brown is a writer I've long admired, and this new novel is his best book yet. 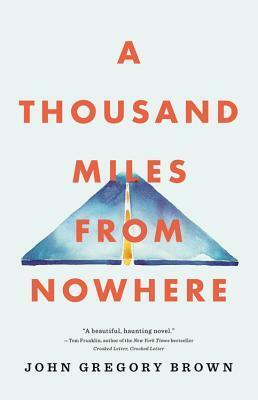 A Thousand Miles from Nowhere is a marvelous depiction of one man's stumbling journey from despair toward a hard-won redemption." --Ron Rash"You have lost everything, yes?" Everything? Henry thought; he consideA Virginia Book Award Finalist"A beautiful, haunting novel." --Tom Franklin"John Gregory Brown is a writer I've long admired, and this new novel is his best book yet. A Thousand Miles from Nowhere is a marvelous depiction of one man's stumbling journey from despair toward a hard-won redemption." --Ron Rash"You have lost everything, yes?" Everything? Henry thought; he considered the word. Had he lost everything?Fleeing New Orleans as Hurricane Katrina approaches, Henry Garrett is haunted by the ruins of his marriage, a squandered inheritance, and the teaching job he inexplicably quit. He pulls into a small Virginia town after three days on the road, hoping to silence the ceaseless clamor in his head. But this quest for peace and quiet as the only guest at a roadside motel is destroyed when Henry finds himself at the center of a bizarre and violent tragedy. As a result, Henry winds up stranded at the ramshackle motel just outside the small town of Marimore, and it's there that he is pulled into the lives of those around him: Latangi, the motel's recently widowed proprietor, who seems to have a plan for Henry; Marge, a local secretary who marshals the collective energy of her women's church group; and the family of an old man, a prisoner, who dies in a desperate effort to provide for his infirm wife.For his previous novels John Gregory Brown has been lauded for his "compassionate vision of human destiny" as well as his "melodic, haunting, and rhythmic prose." With A THOUSAND MILES FROM NOWHERE, he assumes his place in the tradition of such masterful storytellers as Flannery O'Connor and Walker Percy, offering to readers a tragicomic tour de force about the power of art and compassion and one man's search for faith, love, and redemption. 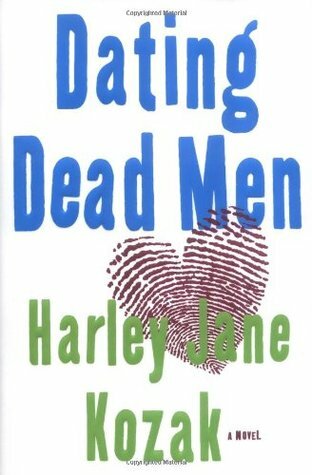 I won a copy of this book during a giveaway. I am under no obligation to leave a review or rating and do so voluntarily. So that others may also enjoy this book, I am paying it forward by donating it a local library. John Gregory Brown’s A Thousand Miles from Nowhere is a beautiful and weird novel about love, loss, family, and New Orleans. Henry Garrett leaves New Orleans a few days before Hurricane Katrina and finds himself in Virginia, but he’s already lost his job, his wife, and his home even before the hurricane hits. It has a bit of magic realism, gorgeous, heartbreaking details, and characters you can’t stop thinking about. This is the first book I have read by this author. I really liked it. I liked it enough to go back and start reading his earlier work. This is a thoughtful book, one of reflection, of consequence and coming to terms with the decisions people make. It is not full of action or bells and whistles and devices. This is a true literary piece and the author has a true gift for unfolding the simple parts of every day that people take for granted. Wonderful story of coming back from the brink of insanity. Post Katrina Henry Garrett finds himself in a small town in Virginia with nothing. But Henry lost everything not to Katrina but to his own failing sanity. With the help of some of the residents of the town he begins the long climb back to the world.I received this book as part of a giveaway but the opinions expressed are solely my own. A beautiful, personal exploration of post-Katrina life for Henry Garrett. The story is driven by vivid detail and a surprising weaving of the images, lyrics, and emotive tones of the music Henry loves. Beautiful prose. It took about 60 pages to commit to this book, but once Henry Garrett encounters circumstances that pull him out of his head, it becomes a captivating story. You can't exist without others. What a wonderful book! although I would expect nothing less from Mr. Brown. I've been reading him for years and he has never disappointed. Loved it. I'm partial to books about second chances, and this one is that. Second chances in life, in love and even the storm ravaged city of New Orleans are all here. Loss, redemption, restoration, words that all come to mind when I read this book. AND it has at it's core an epic storm, an epic poem, and wonderful, alive characters. I was swept away by this man's journey from total loss and despair to redemption and forgiveness and all the colorful and quirky characters who help him along the way. Beautifully written. This author spoke at our annual "Staff Day". I had not been familiar with his books, but will certainly look for his others. Couldn't finish it. I liked the beginning -- the descriptions of mental illness and loss and Katrina, but then as he was finding redemption or whatever (I don't know because I stopped reading around page 100) I just couldn't care anymore. It just seemed unlikely the things that people did for him, etc just because he was down and out. People aren't like that and life isn't like that and I couldn't get into it.